Ferns from Blarney in Bloom. Posted: Thu Jul 16, 2015 3:13 pm Post subject: Ferns from Blarney in Bloom. 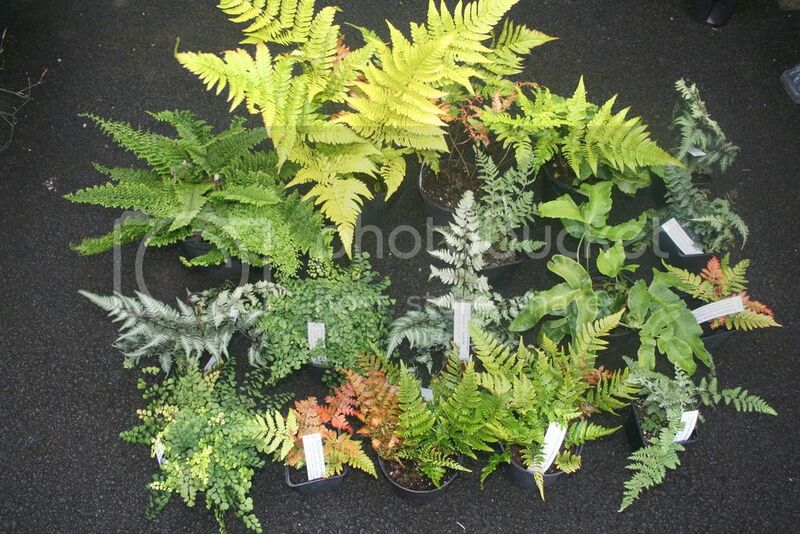 Got these ferns from Shady Plants, Waterford at Blarney in Bloom last weekend. One of the Japanese Painted Ferns is named "Godzilla" ! and grows to a width of 1.8 metres! Clearly not the same as my Japanese Painted Fern, which refuses to grow more than 9-10". There is a patch in our new garden where ferns grow very well. I'm going to have a collection there. Near to where we grew up there is a place known as The Fern Hills. I'm going to have a Fern 'Hill' to remind us of this lovely place. Yep, I have two of the normal painted ferns, which are small and two Godzillas, which are sterile.